For a while there was a fad among political journalists for asking politicians the price of every day items, to test their understanding of voter’s lives. 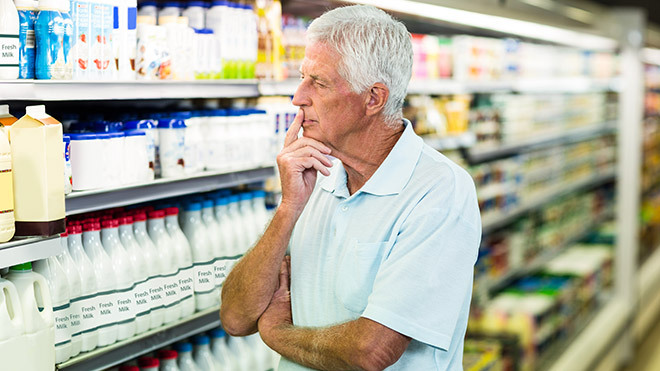 When it comes to changes to pensions policy, aspiring political leaders should have to prove their understanding of the financial position of future and current pensioners – as well as the price of milk. For all the occasional claims about legions of wealthy pensioners, the state pension today is worth about £7,000 a year on average. This is about half the National Living Wage and a quarter of median earnings. Its value is among the lowest in the developed world. And it is a feature of successful pensions systems overseas that they feature a decent state element. Yet, the short-sighted decision of Theresa May to run for office on a ticket that includes shelving the triple lock that governs the way the state pension rises, deprives us of the main tool we had for gradually raising the state pension to a decent level. Under the triple lock, since 2010, the state pension has risen by the highest of Consumer Price Index inflation, average earnings or 2.5%. From 2020 May wants to move to a “double lock”, with the state pension moving with the highest of inflation and wages. The calculation has been made that today’s pensioners are doing rather well, thank you. Or as the Conservative manifesto put it, the triple lock has worked. This test fails on its own terms. Pensioners are a varied bunch. Some pensioners have decent workplace pension schemes live very comfortable lives. But many do not, especially older pensioners. It is hard to see that having more than 1.5 million pensioners in poverty today is in any way a job well done. Only about half the 65-plus population have enough income to pay income tax. You can bet they know the price of milk and their state pension entitlement to the nearest penny. Problems of pensioner poverty are not going away. The bottom 10% of the age 55-64 age group have wealth, including possessions, housing and pension of less than £28,000. Two in five women in this group have no pension wealth at all. As we have argued before, the young are potentially the biggest beneficiaries of the triple lock thanks to the compounding impact of increases. And they need these increases. Because declining workplace pension provision has left many in Generation X and Y with little alternative provision. Indeed, as Craig Berry has argued in an incisive piece of analysis, the triple lock is perhaps too modest leading to glacial improvements in state provision. Today’s announcement by the Conservative Party suggests their return to office would continue a pattern of falling pension provision. It should be remembered that the triple lock has proven to be less generous than the system it replaced. The Department for Work and Pensions spent £68 billion on the triple-locked basic State Pension in 2015/16. If it had stuck with using uprating by Retail Prices Index inflation, spending would probably have been £800 million higher. Some point to the introduction of the new state pension in April 2016 as another great benefit to older workers. For some it will be higher but many retiring now do not get the full amount due to other entitlements. And by abolishing the earnings-related elements of the old system it has created millions of losers – especially among younger workers. The National Audit Office says that 76% of those reaching State Pension Age in 2060 will be worse off than under the old system. Three-quarters of people in their 20s will lose an average of £19,000 over the course of their retirement, as a result of moving to the new system. The move away from the triple lock is accompanied by a proposed further cut: a Conservative manifesto pledge to restrict Winter Fuel payments, which are currently worth up to £300 to the poorest pensioners. Introduced to replace Cold Weather payments (which went only to the poorest pensioners), these are targeted by age, with the largest payments going to older pensioners who are more likely to die from cold. A decent state pension is a feature of all good pension systems as a way of preventing poverty and giving savers a platform on which to build workplace and individual provision. Getting rid of the triple lock would make the job of building a robust UK pensions system just that bit harder. THANK YOU FOR THIS. THE GOVERNMENT SAID THAT ALL PENSIONS WOULD RAISE TO £140.00 PER PERSON.i AM NOW 82 AND MY PENSION IS IN THE £80.00 MARK A WEEK, DID NOT US OLDIES COUNT. WE TRY TO SUPPORT YOUNGER MEMBERS OF THE FAMILY ON THE MINIMUM WAGE BY BUYING THEM FOOD BECAUSE THEY DO NOT EARN ENOUGH, SO WE DO NOT EAT AS WELL. MY TOTAL YEARLY PENSION IS IN THE REGION OF £5400.WILL A MP PLEASE TRY AND LIVE ON THIS AMOUNT?